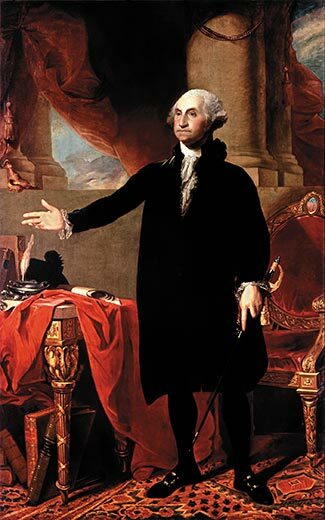 Mrs. Madison was more concerned for this painting of our first president, than she was for her own life. She wanted the future citizens of this great country to know who George Washington was and what he looked like. What an amazing woman! I don't know anyone who would put their life on the line for a painting. While watching this, my son looked at me and said, " Momma, Dolley Madison would turn over in her grave if she knew what our country was like today." I have to agree with him on that statement. Not only would this brave lady turn over, but so would all the thousands of men and women who died in trying to build this country. Today marks the 59th annual National Day of Prayer. A day that was signed by President Harry S. Truman. This year we have God hating men and women who are doing all they can to fight this day. Not only are they trying to defeat a "day", but they are out to fight our God and the people that serve Him. They do not care about the things of the Bible or what it stands for. Have you ever thought, they do not try and fight the "holy books" of ISLAM, TAOISM, BAHAI, HINDUISM (just to name a few) or say that they are unconstitutional? Why would they even try? ~ these people know that the ONE they are fighting is the TRUTH. When I think about this, I think about the men and women who have died because of their belief in God and the Bible. Is this going to happen here in this country? I hope not. But it sure is beginning to look like it. I'm afraid it won't be long before our Pastors will be jailed for standing behind the pulpit and preaching the TRUTH. Our children have already had part of their Freedom of Religion taken away from them, when the Bible was removed from schools. Hopefully, we won't be hearing about a son or daughter being arrested for just talking about God to a classmate. I'm sure that I'll have this post read by someone who doesn't like what I'm saying. I'm not apologizing for anything that I have said, because I have spoken the truth. Our country was founded on Biblical principles and that can't be changed. Being able to tell these people that,is like rubbing salt in a wound. If you have not spent time in Prayer today ~ What are you waiting for?